Music hall magic with Hetty and Diamond. Besties, boys and bling in Victorian times. First Hetty ran away with the circus. Now she’s escaped from it. What’s next for Hetty and her dear friend Diamond? 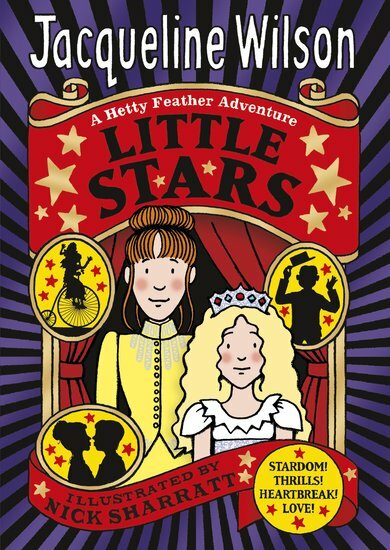 Well – only a thrilling new turn as the Little Stars of Mrs Ruby’s glamorous music hall show! The colourful cast includes an old friend, Flirty Bertie. Will he come between Hetty and her old flame, Jem? And as the bright lights of the London stage beckon, will Hetty become a true star?